CASH FOR CARS GEORGIA GA! RCO Cash for Cars Georgia will buy your car or truck getting you the money you need fast! Our affiliate location is conveniently located in McDonough GA not far from Atlanta Georgia and will purchase all types of new, used, junk and collision cars saving you time and money while trying to sell your car. Get the cash you need without all the hassle! RCO gets makes selling a car in Georgia easy by getting you free online quotes and buying your car or truck today. Our Cash for Cars Georgia program allows us to get our customers money needed in minutes. Our network offers sellers the most comprehensive selling system getting you the most realistic market value for your vehicle. We take into consideration a variety of information provided to us to accurately quote you. We do not over quote our customers and will get you a realistic price on what your car may be worth. With our partnered location, RCO offers our customers an easy way to sell your car or truck while eliminating the costs of having to advertise, receiving annoying phone calls from tire kickers and eliminating any chance of falling victim to fraud. We take pride in paying CASH FOR CARS in minutes. 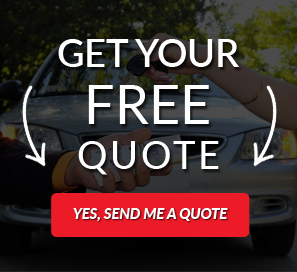 All you have to do is fill our our ONLINE QUESTIONNAIRE or call us toll free at (888) 941-5442 for a no hassle cash quote on how much your car may be worth. We make selling your vehicle in Georgia easy! CARS FOR CASH FAST IN THE GEORGIA GA! RCO BUYS FROM ALL NEIGHBORHOODS IN GEORGIA!